Description: A fishing addon that keeps track of the fish you catch and helps manage your fishing gear. I am not sure if it is even possible, but it would be nice to see it here. Description: Improved Blizzard UI is an attempt to improve the World of Warcraft interface by styling frames, implementing additional functionality and restructuring / hiding existing elements. Description: Coordinates Tracking is a WoW addon to show your current position's coordinate info on the screen. Furthermore, it can also show the info on the world map together with the cursor's position. Description: Custom Timer For Mythic+ Keystones (Challenge Modes), And Timewalking! Description: Tools and tweaks to make the lives of players seeking achievements a little bit easier. Description: BigDebuffs is an extremely lightweight addon that hooks the Blizzard raid frames to increase the debuff size of crowd control effects. 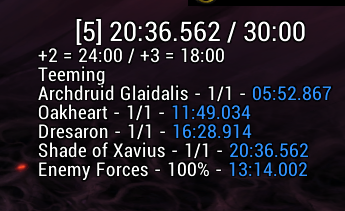 Additionally, it replaces unit frame portraits with debuff durations when important debuffs are present. 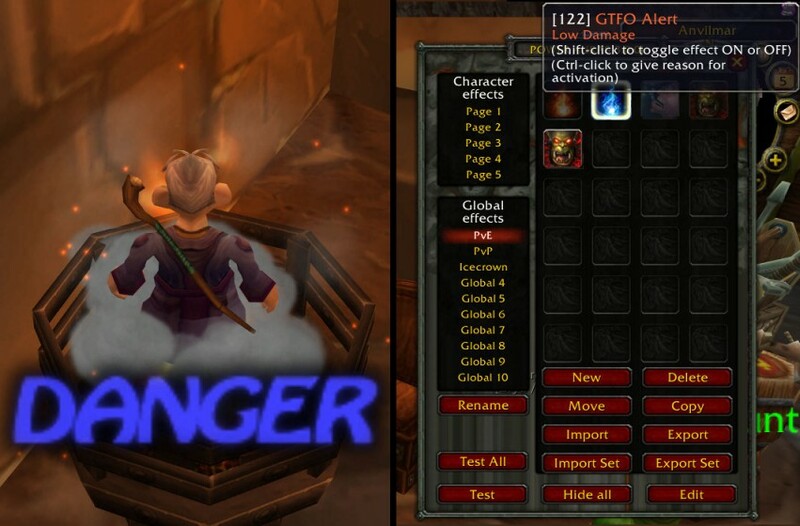 Description: Improved unit frames including World of Warcraft interface. You can drag/move where you want to, just right click and "unlock/lock frames". Description: Skinner changes the look of the default UI. Like elvui does. Description: GTFO warns you when you're standing in fire or other bad stuff.